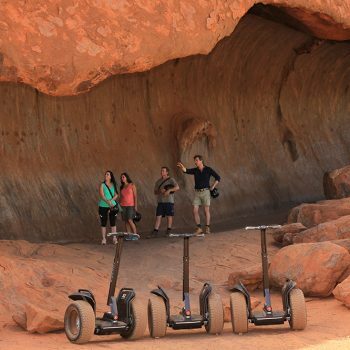 Segway Tours offers a fun and exciting way to experience Uluru as a fully guided tour. 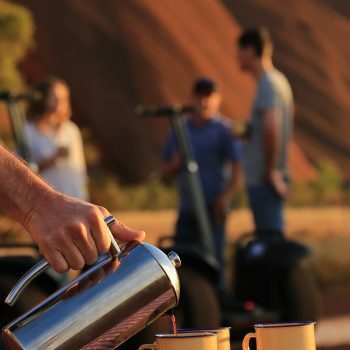 Seeing the entire base of Uluru on a Segway is fantastic. It allows you to easily cruise the full base of Uluru, in less time than it takes to walk. On Segway you can even travel faster than the flies. Enjoy a magical sunrise at Uluru with a light breakfast, tea and coffee. In the morning light be led by your guide into the Mutitjulu Waterhole. Cruise around the full 10km base of Uluru. Tour departs daily. Tour duration 4 hours. Drive yourself to the Kuniya carpark to join the tour. 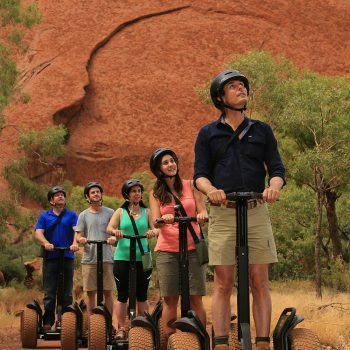 Cruise on your Segway on a guided tour around the full 10km base of Uluru. Not available for children under 12 years. Children under 18 years must be accompanied by an adult.